‘Exotic’ as the locals call it, is situated on the southern side of Malapascua and is set directly on the eastern end of Bounty beach. A 10-minute walk from the public area Exotic is nicely secluded from passing day traders and other tourists; yet close enough for those who wish to mingle. The white sand beaches and turquoise blue waters of the Visayan Sea create a perfect setting for the resorts natural garden frontage. 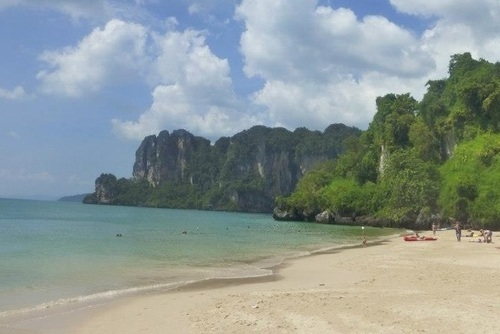 Straight off Exotic Beach the sea gradually increases to a depth of 12mts, revealing healthy coral formations and creating a safe and exciting place to swim and snorkel. Our family run resort prides itself on keeping a relaxed yet professional atmosphere where we hope to provide all our guests with a magical holiday experience. 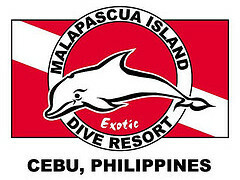 We should always be your first choice on Malapascua. If you are thinking of diving or staying in Malapascua you should always consider Exotic as your first choice. 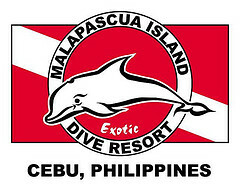 We are the only all inclusive 5* PADI dive operator and resort on the island. 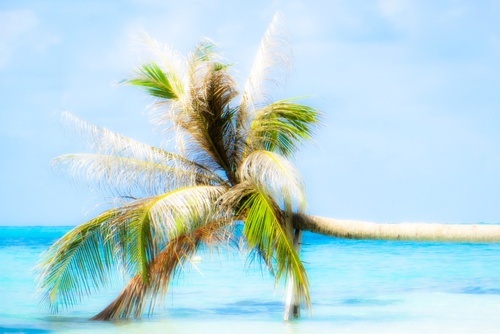 We do not rely on a third party for any part of your holiday as we have it all. Our first class accommodations, in house 5* PADI shop, international restaurant, bakery, fully stocked bar, coffee corner, land and sea transfers, Exotic spa, travel service, dive safaris, Internet café and convenience store; not to mention a perfect white sand beach for the exclusive use of our customers means we can guarantee the best service and best value for money. 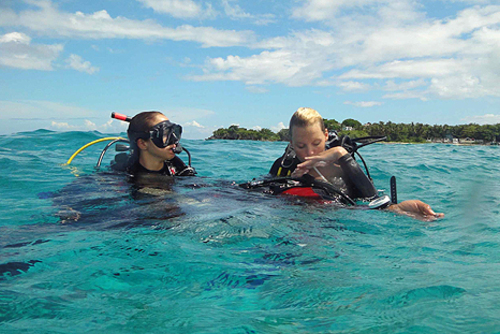 Our desire and promise is to give you an unforgettable and complete diving holiday. The blinding white sands of Bounty Beach fringe the southern side of Malapascua and have been called one of the best beaches in the Philippines. It is a paradise where time has stood still, leaving you breathless as soon as you step onto this island dream. 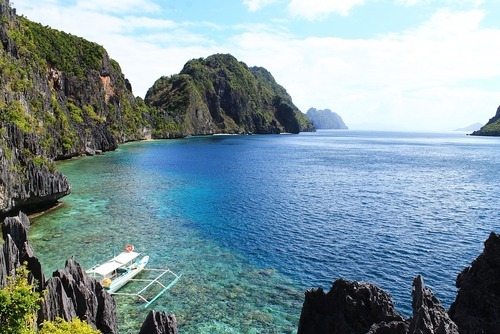 The clear turquoise waters create a perfect contrast to the lush mountainous views created by northern Cebu, southern Leyte and even the volcanic islands of Maripipi. The northern side of Malapascua has a more panoramic rocky coastline and is an attractive alternative to the ever-popular white sand beach. 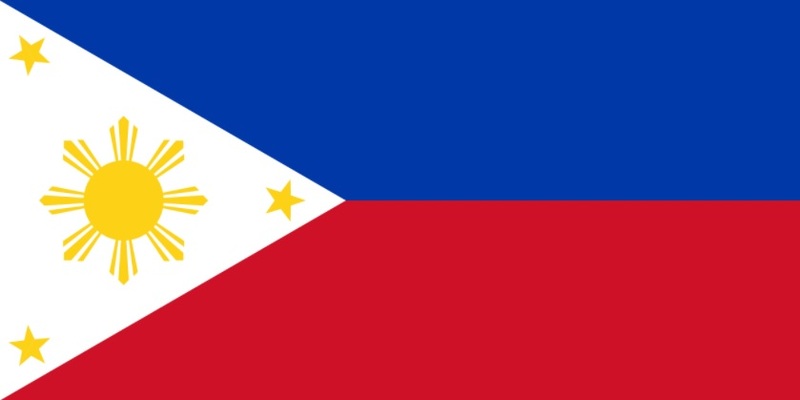 Malapascua also called Logon by the elder locals is located 8km north east of Cebu mainland and 25km west of Leyte. Everyday seems to be a holiday on Malapascua; it’s a place far away from mass tourism and large beachfront hotels. Even the locals appear to be in a constant state of relaxation, the perfect place to escape from the rush of daily life. The island interior is filled with lush tropical flora with an array of colourful flowers found growing amongst the ever-present palm trees. A network of sandy paths intersperse the island taking you from sleepy fishing villages to idyllic deserted bays. There is always a friendly local willing to show you around or point you in the right direction. The ‘hike’ to the lighthouse is a must, with its spectacular views. A walk around the entire island will take approximately 2 hours and is the perfect way to meet the friendly local people. Exotic is the pioneer dive resort on Malapascua, established in 1998 Exotic has grown over the years and now is the largest all-inclusive dive resort on the island. Our continued expansion is a result of our customer’s loyalty and desire to revisit and share their Exotic experience with others. Why not come and see what it is that brings people back to us year after year.